There was a good article on eBay in the FT on Thursday 8th February. 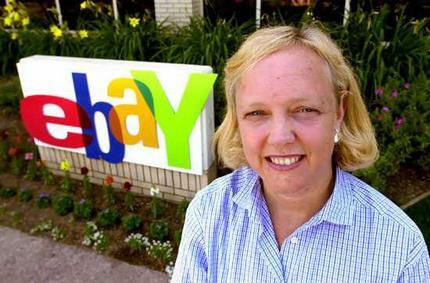 The CEO, Meg Whitman, talks about the key players in the Internet world, their strategy, and explain how good the future will be for eBay. 2006 is the year of synergies and consolidation. I am really surprised by Meg's comments and vision. Indeed, her views contradict the widely held notion that the four internet giants will engage in increasingly fierce competition as they try to match their rivals' services. * eBay: Google recently launched Goggle Base, a classified advertisements website that puts the company in direct competition with eBay. * Yahoo! : Google is targeting the Instant Messaging market and would then become a significant threat to Yahoo! * Amazon: Google and Amazon are separately in talks with music industry executives about new digital music services that could break Apple’s grip on the fast-growing market for legal downloads. Google may bid for Napster, the now legal online music company. Ms Whitman said she had no plans for further big acquisitions this year, stressing that 2006 "is going to be a year of consolidating the Skype acquisition and leveraging the synergies between eBay, PayPal and Skype". If I understand the acquisition of Paypal: with eBay's incredible no of users, it helped Paypal to become the reference in the field of secured and convenient mean of payment on the Internet. The synergy with Skype is not as obvious to me: even though it is a great once revolutionary service, I am not convinced it represents a way to make buyers and sellers come to an agreement more quickly!